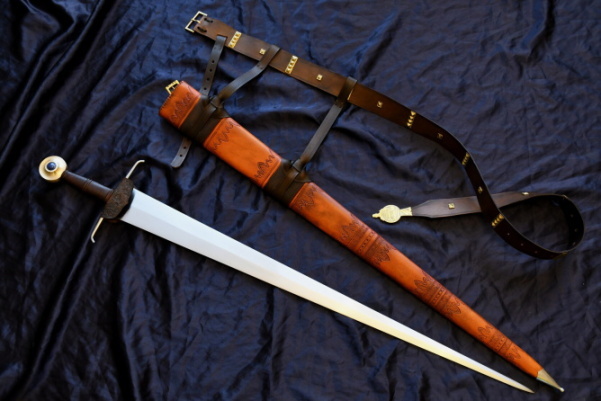 Type XV based on 15th century sword (last photo - from http://www.vikingsword.com). Brass pommel with natural sodalite (both sides) is inspirated on gilded type XIV form Museum in Paris and Peter Johnsson’s type XIV Vorpal. 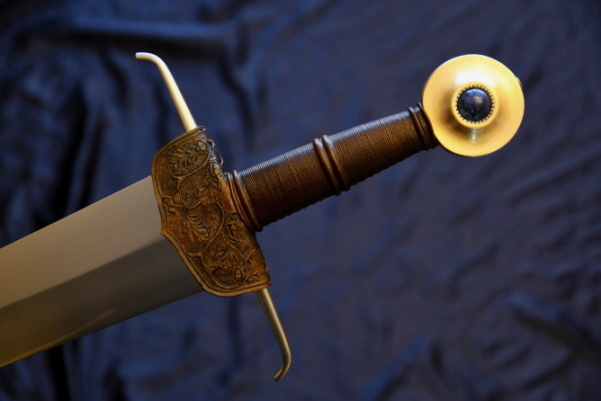 Blade, as in original, is very stiff, good for cutting and thrusting.